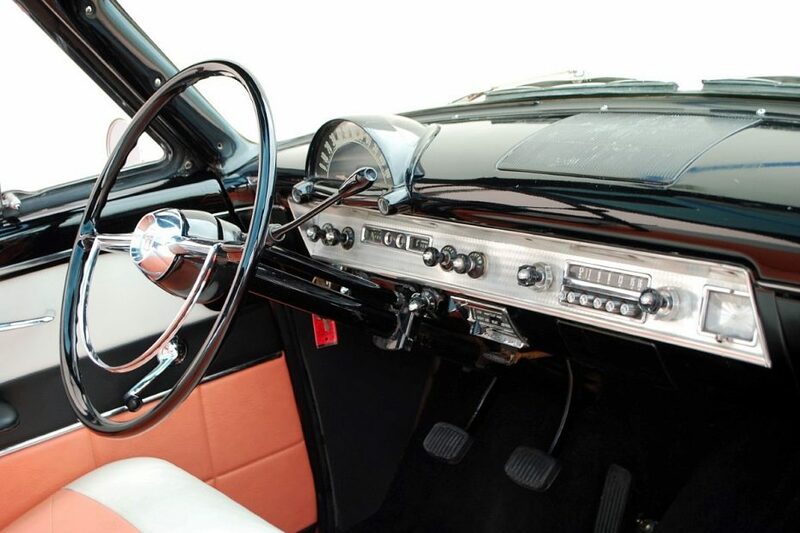 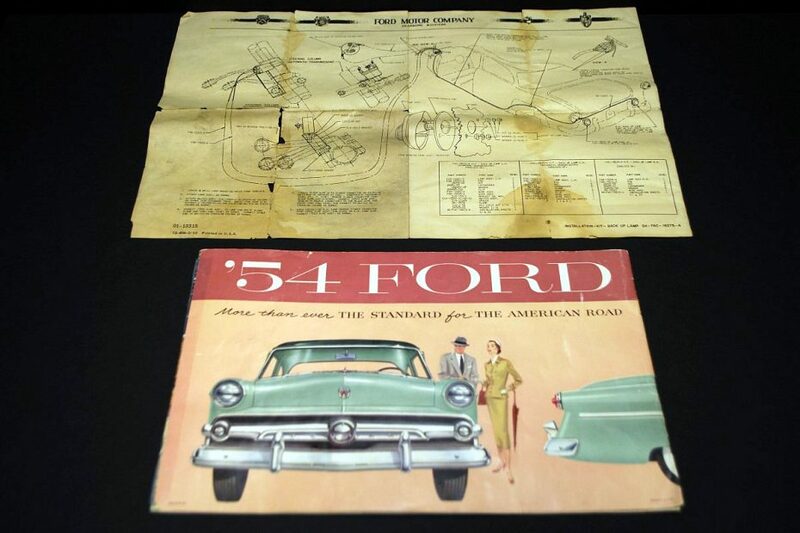 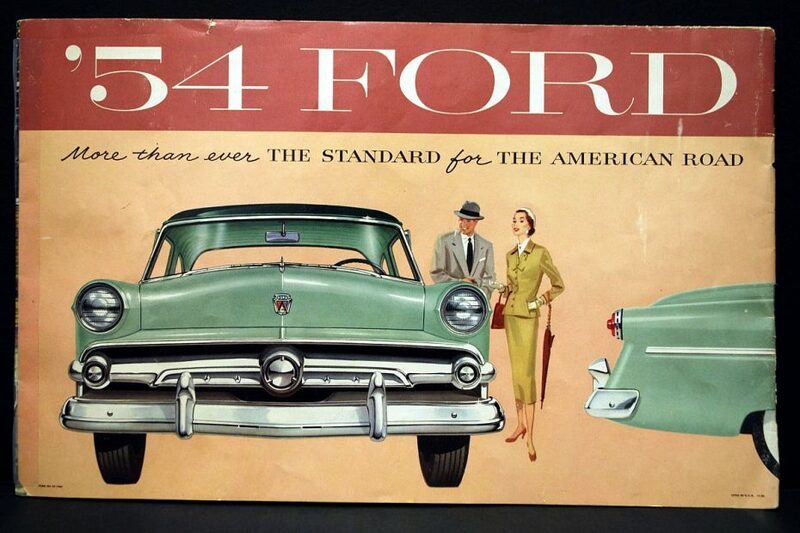 Back in the fifties the automobile competition was getting so strong that all of the manufactures were trying to find any feature that would lure potential customers into showrooms across the country. 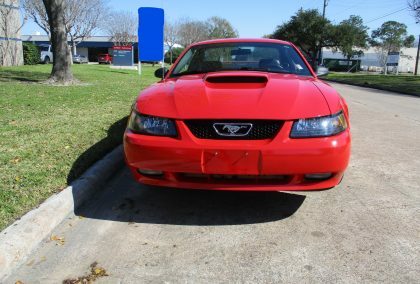 If you could get journalist to recognize your cars and do write ups on unique features they at least had a shot at getting your attention. 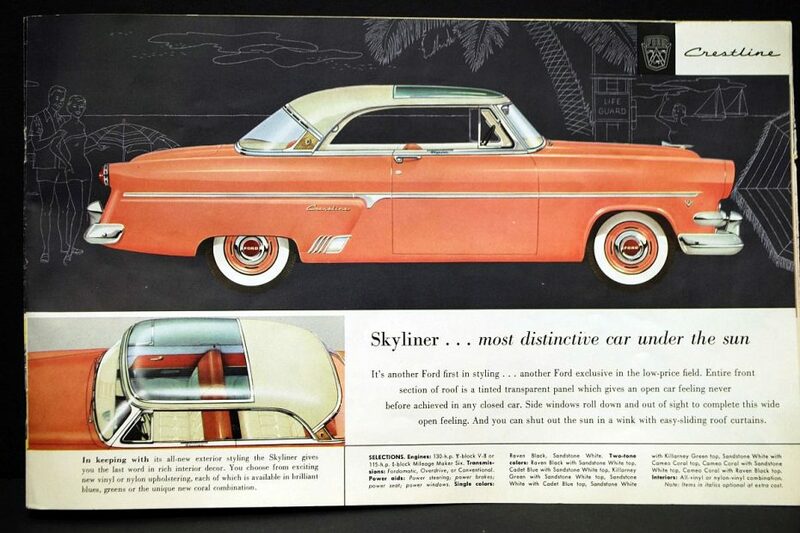 Such was the case with the 13,144 Skyliners built in 1954. 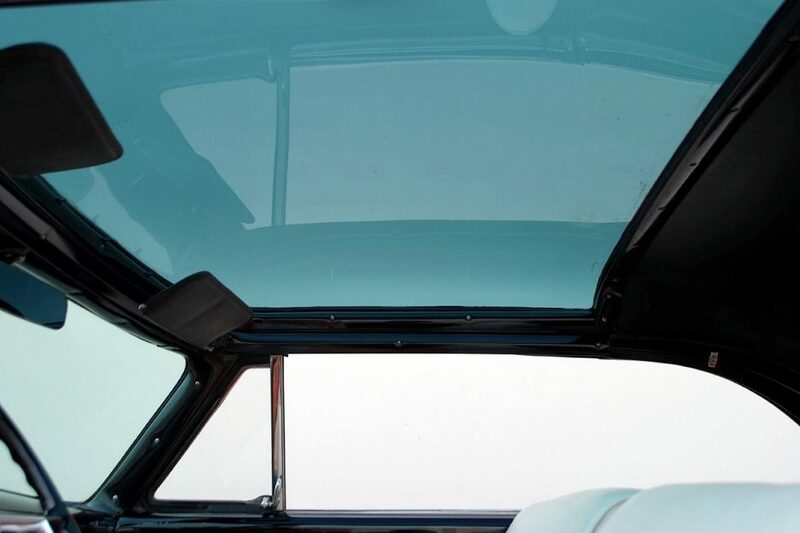 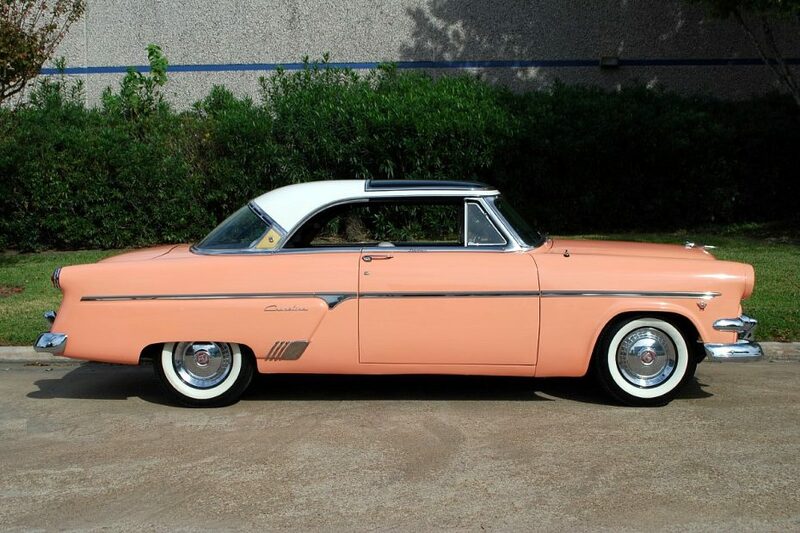 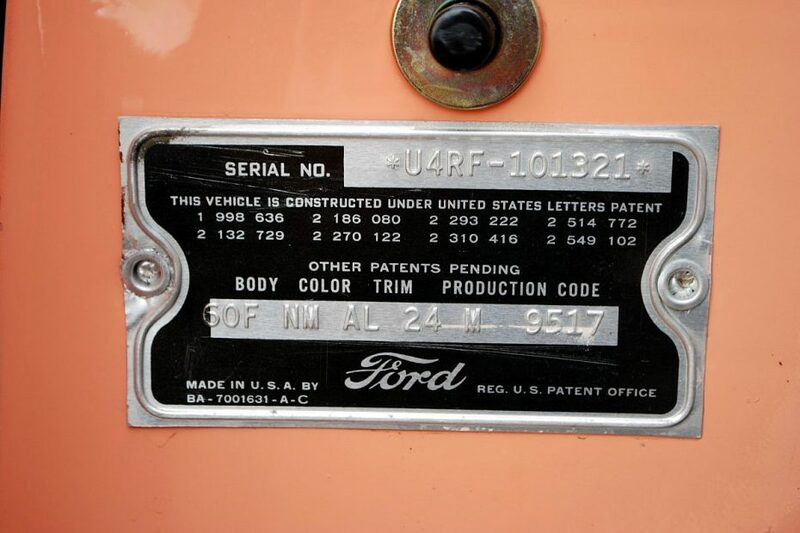 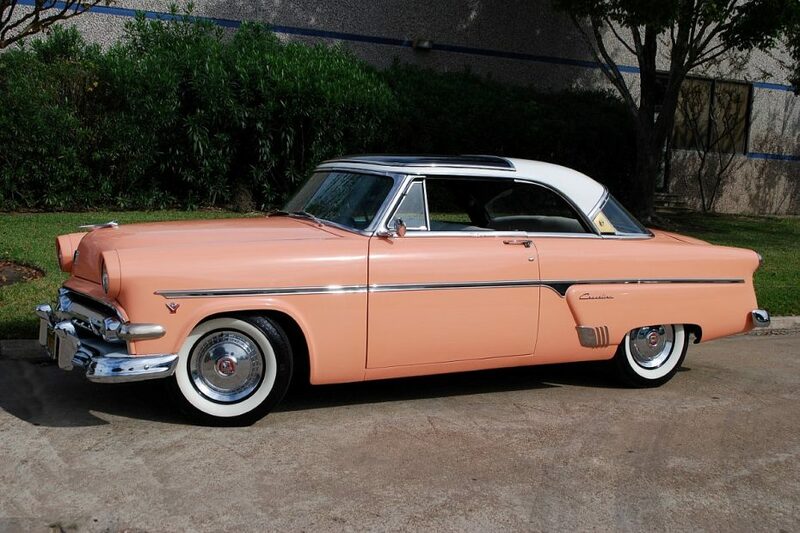 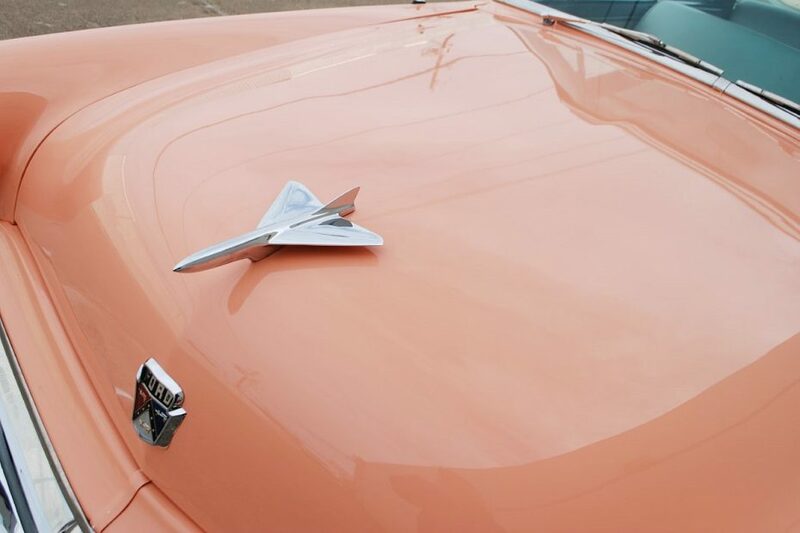 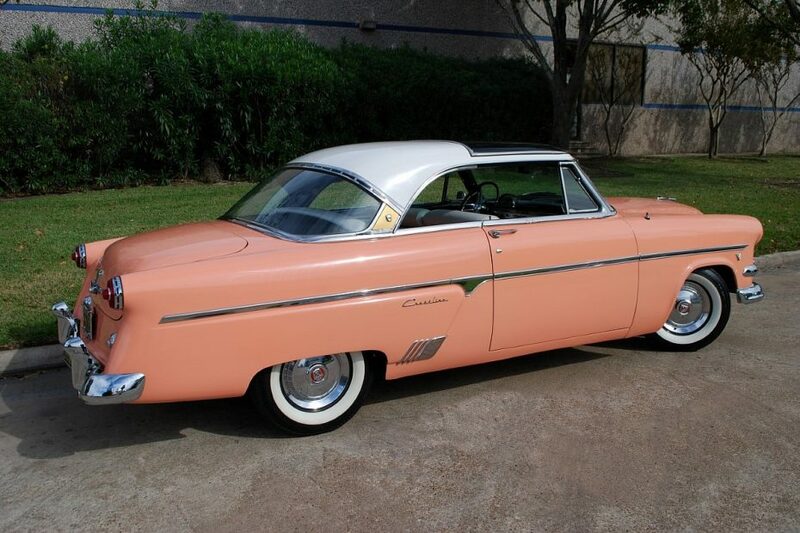 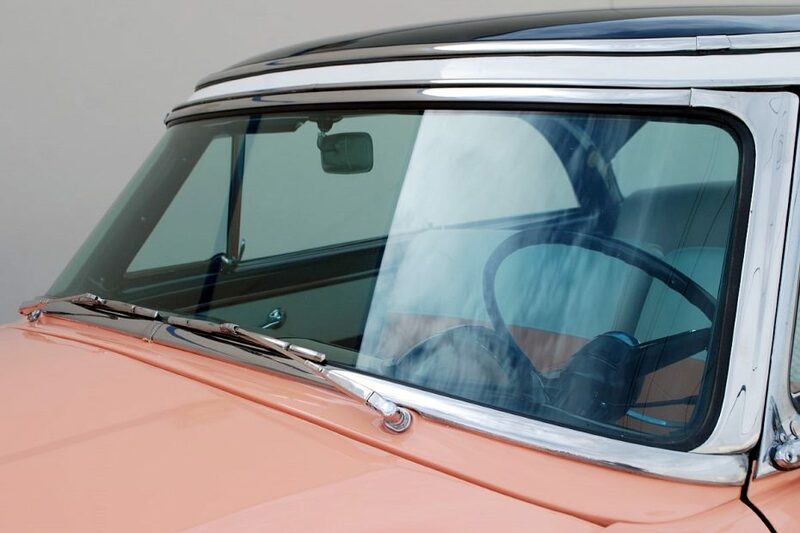 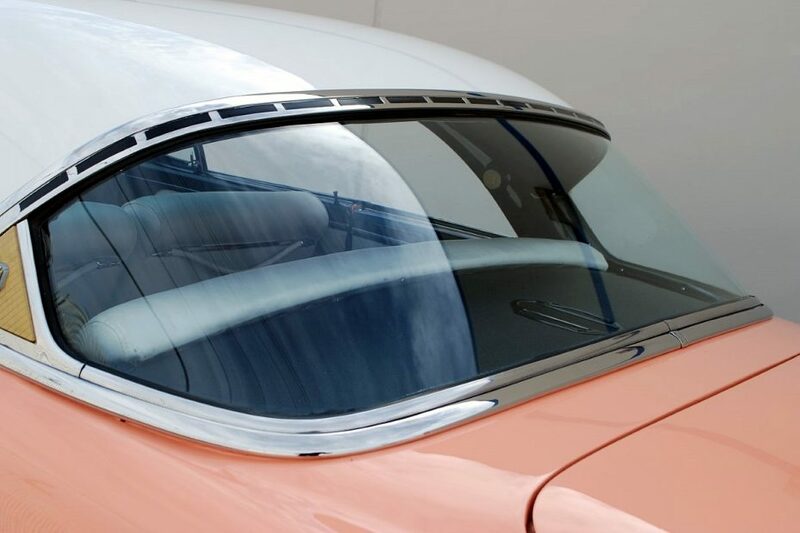 Based on the 2 door hardtop Crestline body the glass roof panel got allot of attention because it was new to the industry for mass produced, affordable cars. 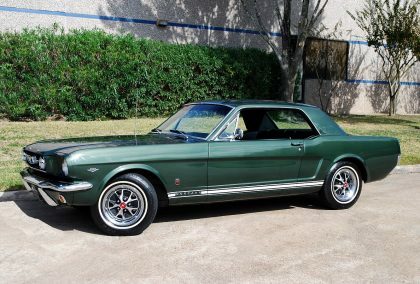 The example you see here came to us from Southern California where it spent most of it’s life. 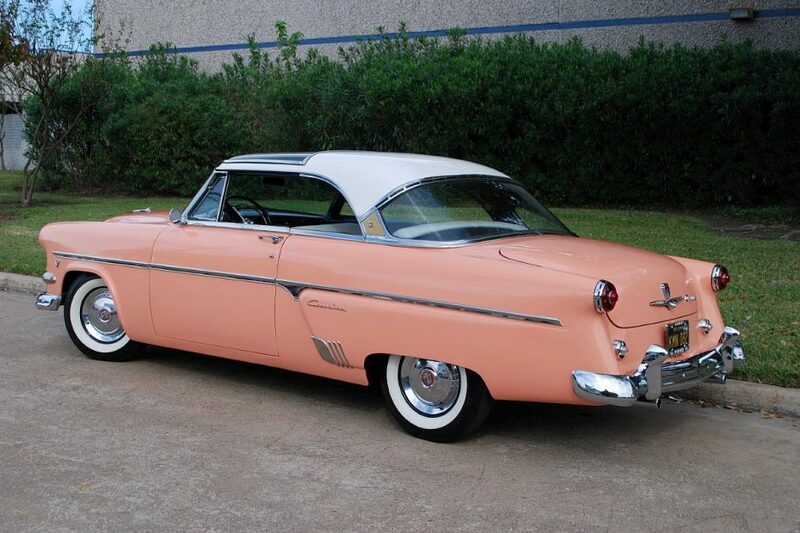 We purchased it as a nice running and driving car where all of the mechanicals and paint had been redone. 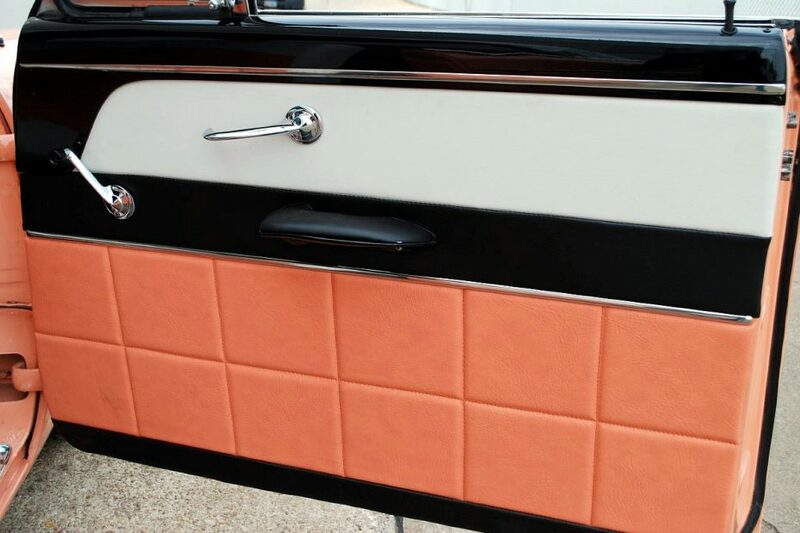 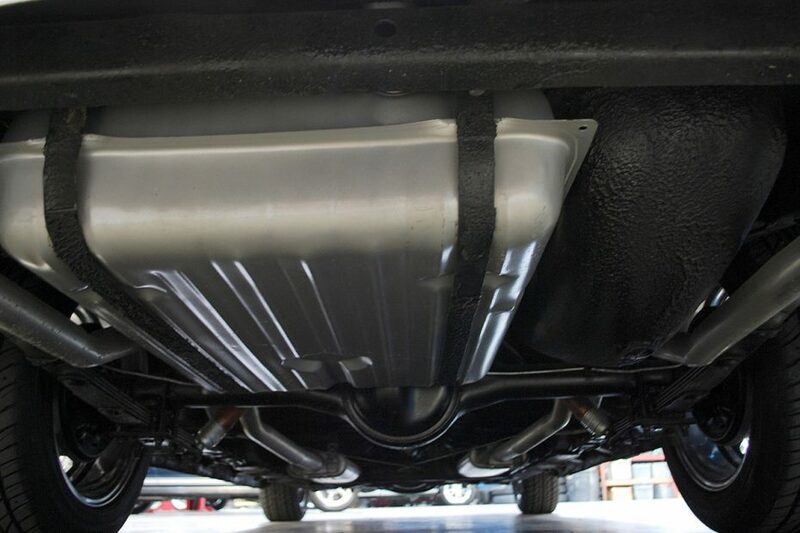 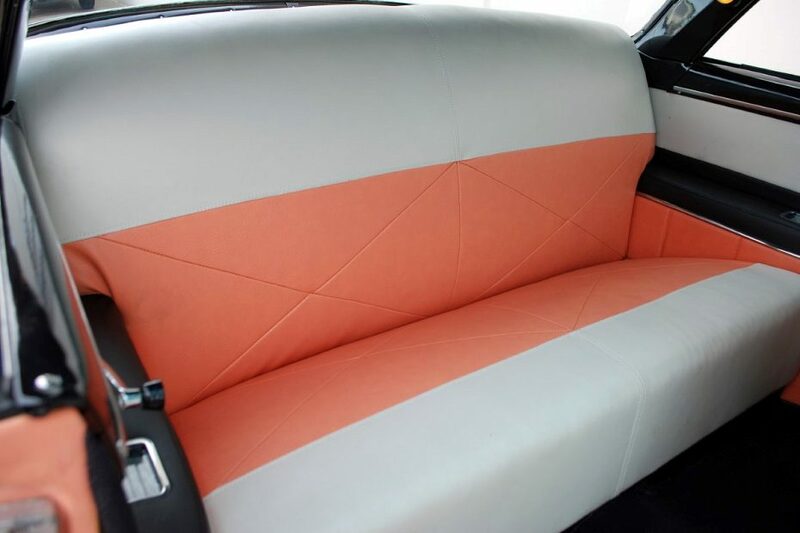 We installing all of the trim, interior, and finishing the trunk compartment. 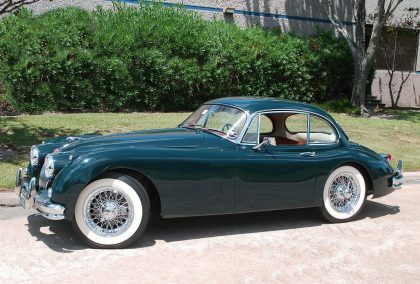 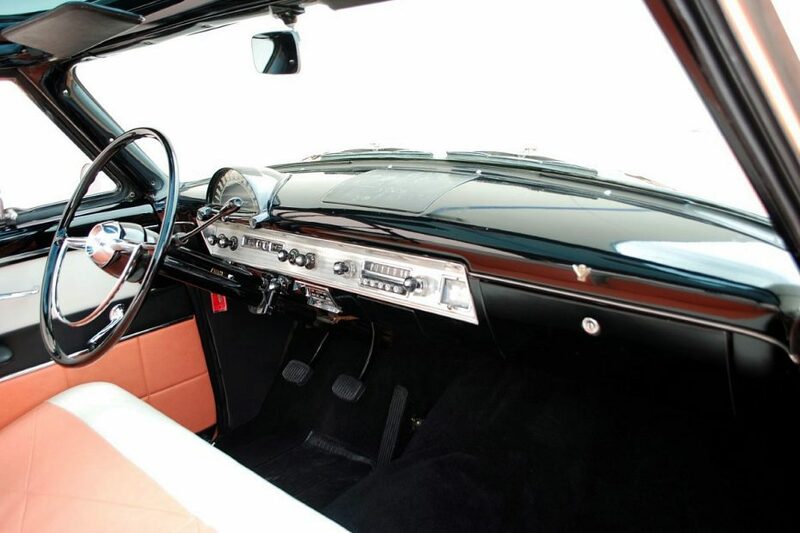 The solid body lent itself to a very nice restoration and ACG is proud to offer this fine car. 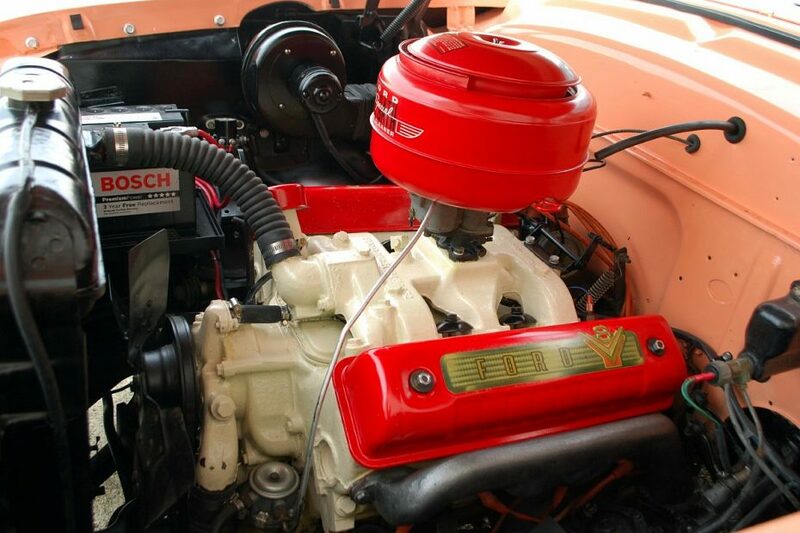 It runs and drives terrific with a rebuilt power train featuring the new for 54 over head valve 239 c.i.d. 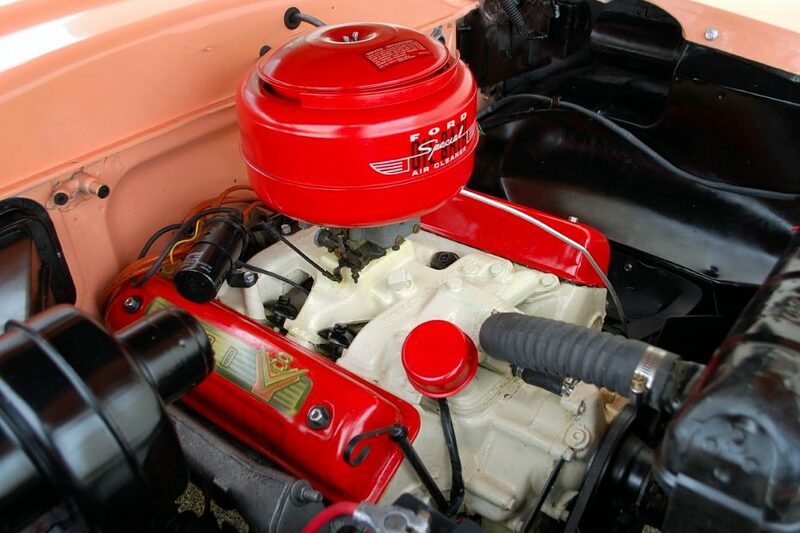 V-8 mated to a smooth shifting 3 speed manual transmission. 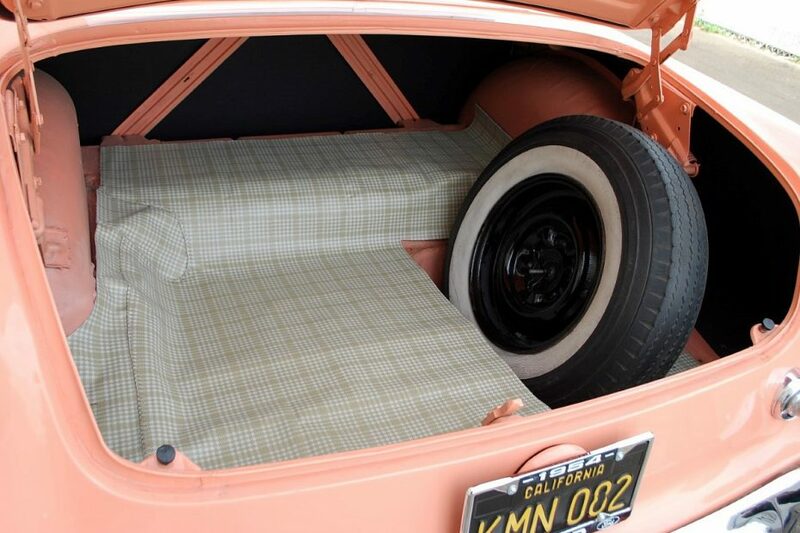 The refurbished chassis gives it a smooth comfortable ride. 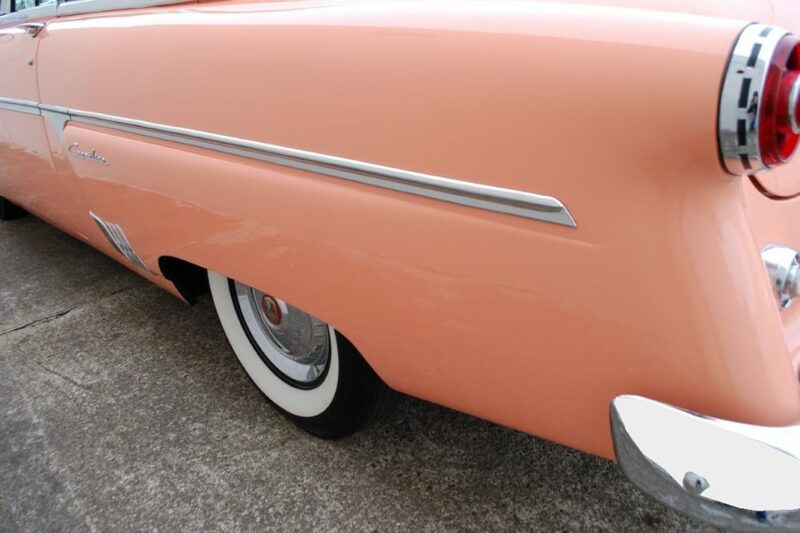 It was restored to original specs without a bunch of modifications. 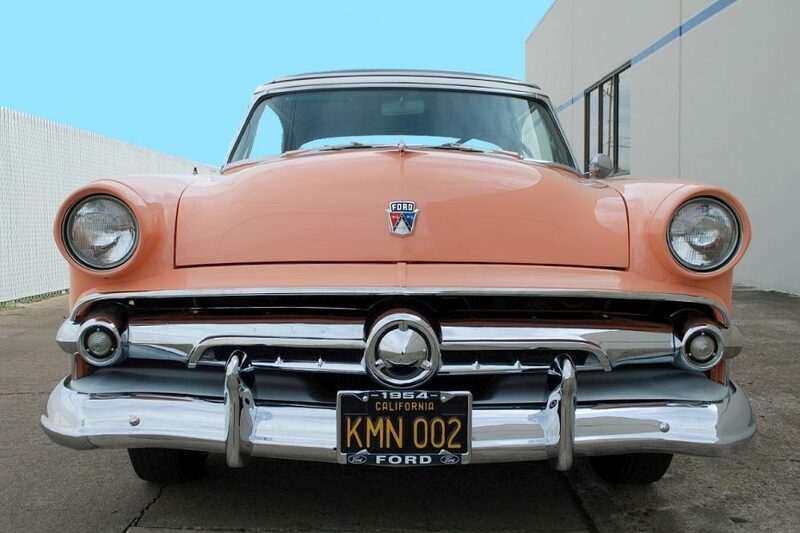 It has manual steering but steers easily due to having the steering box rebuilt with all of the other suspension components. 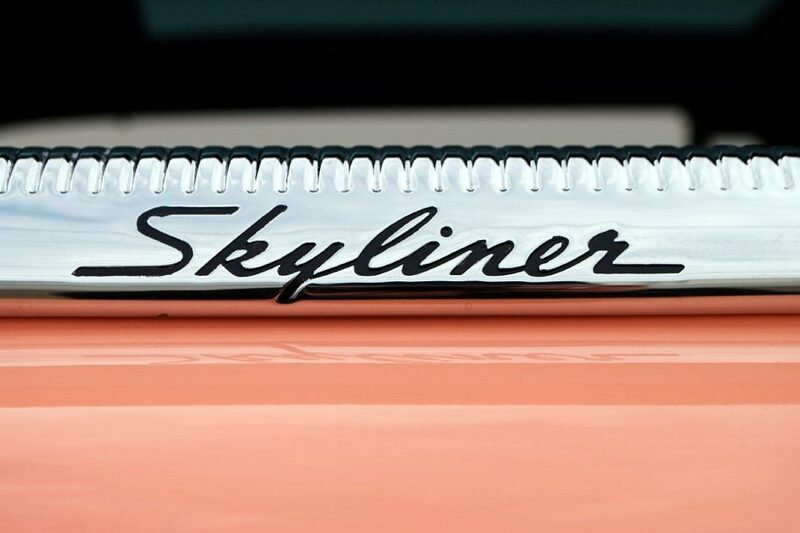 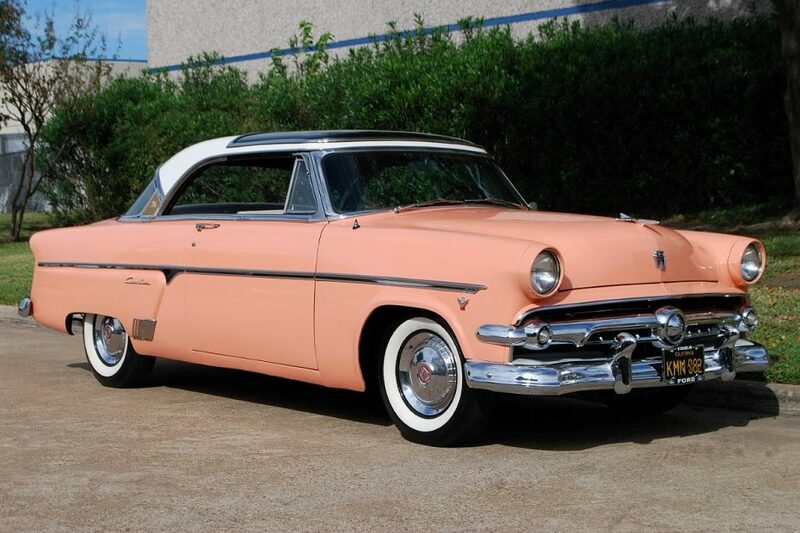 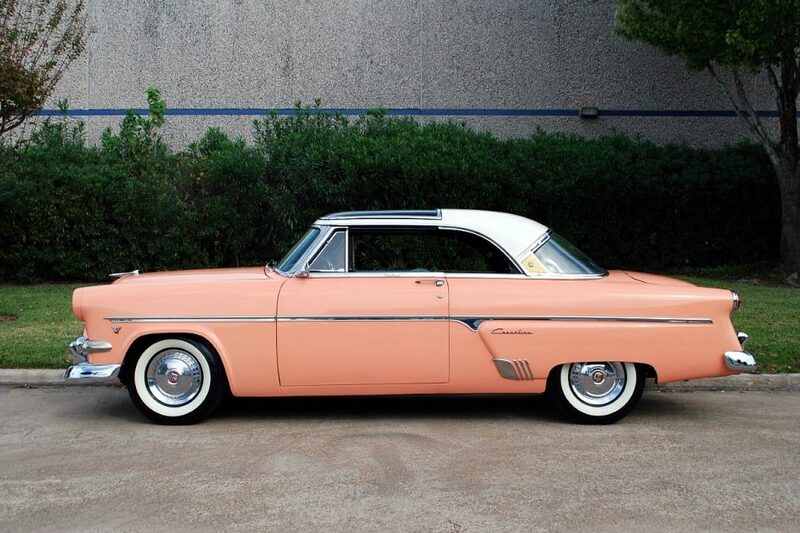 Ford styling was really coming into it’s own in 1954 and the famous Skyliner is one of the most desirable Ford of the fifties. 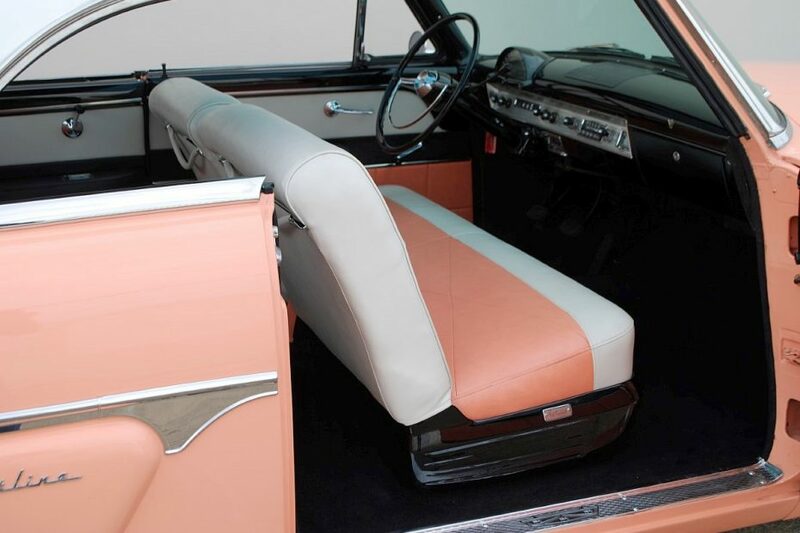 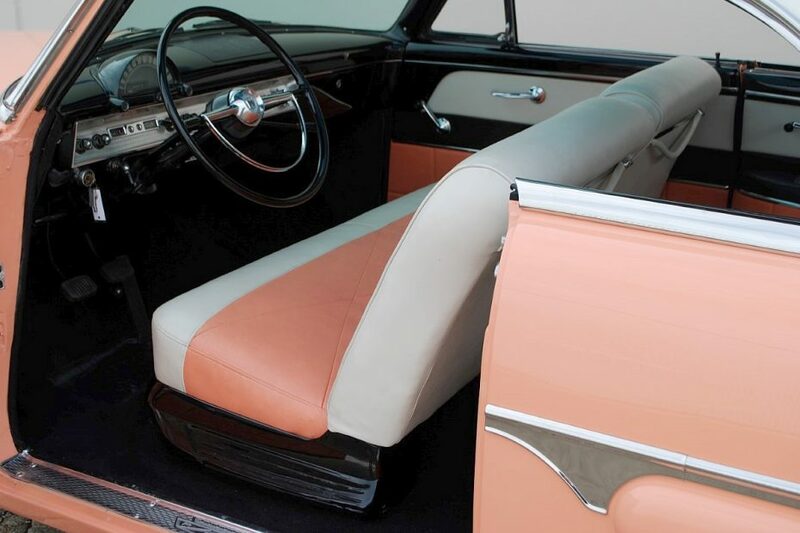 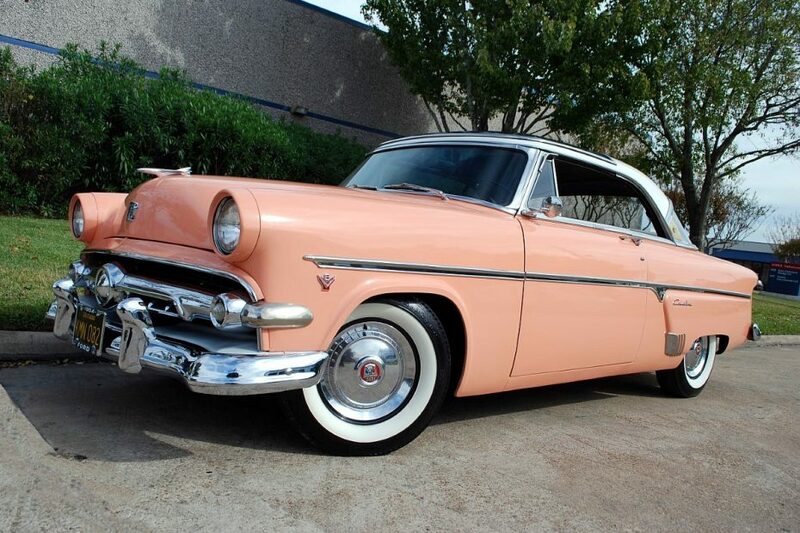 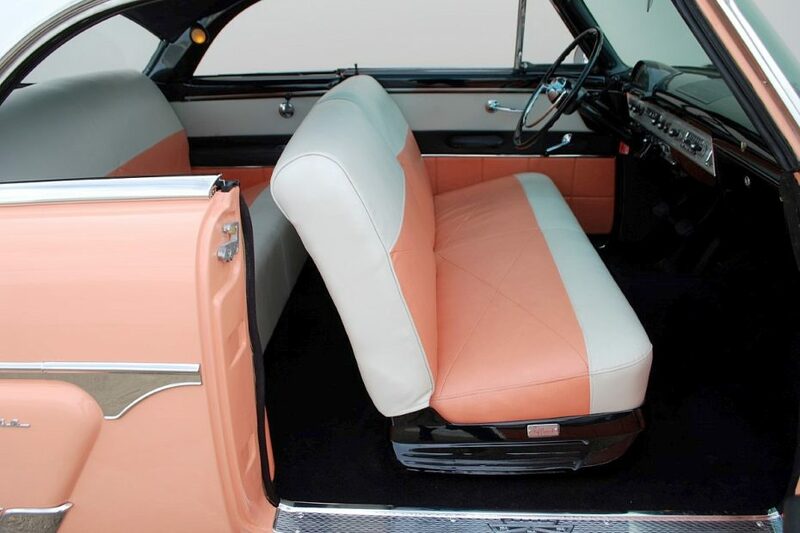 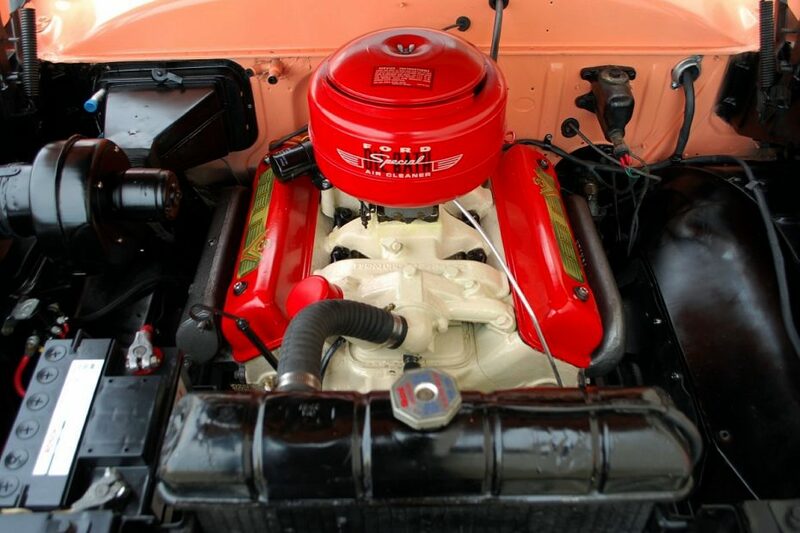 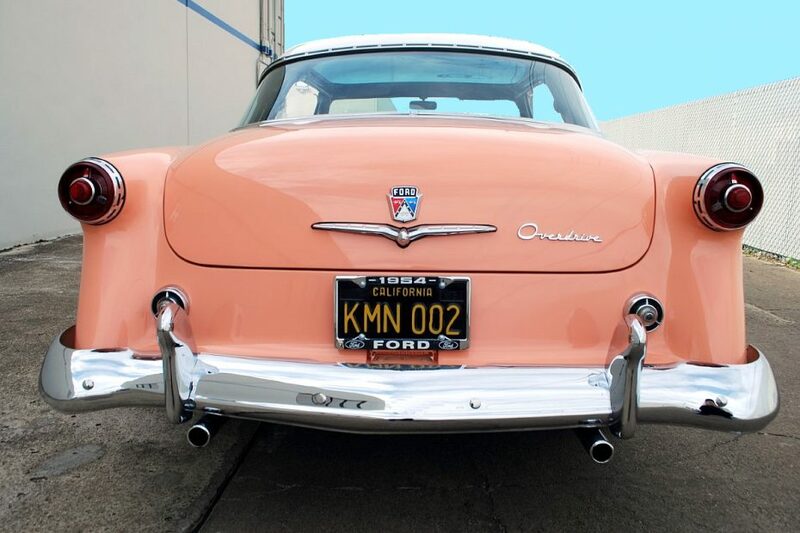 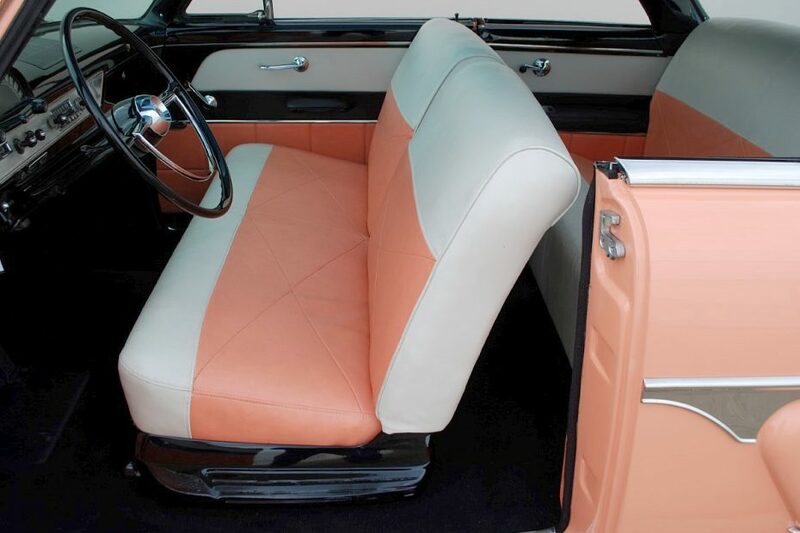 Make this one yours and enjoy classic cruising like never before. 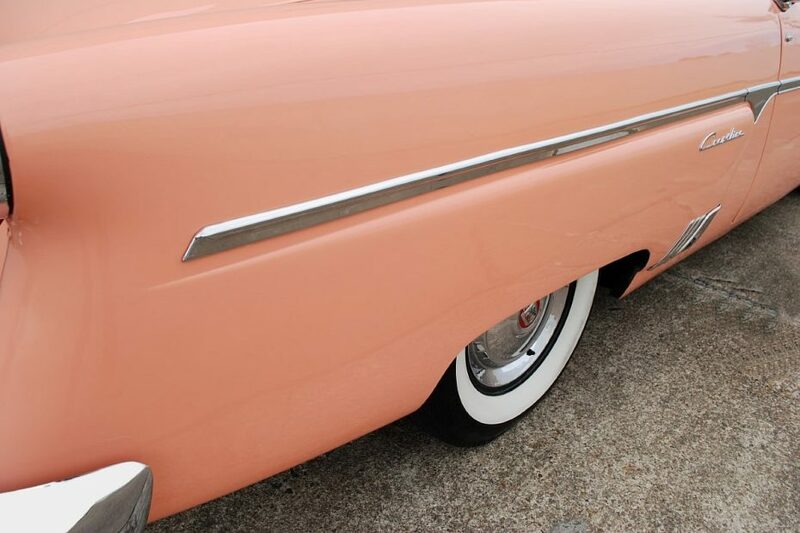 This car turns every heads at the cruise nights and car shows. 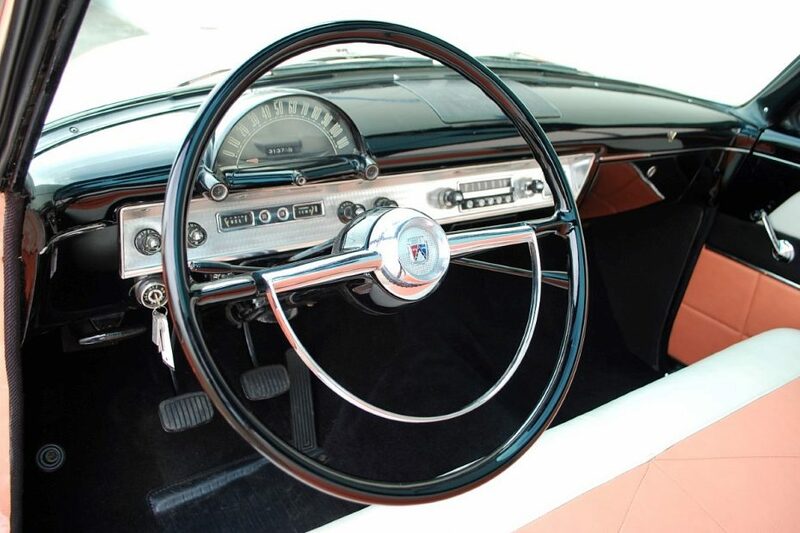 Low rate, long term financing is easily available along with cheap collector car insurance and professional delivery.